This week, Your News to Know brings you the top news stories involving finance and the gold market. Stories include: Why gold’s time to shine is now, gold and silver are absolute bargains, and how gold can be a sanctuary ahead of market collapse. 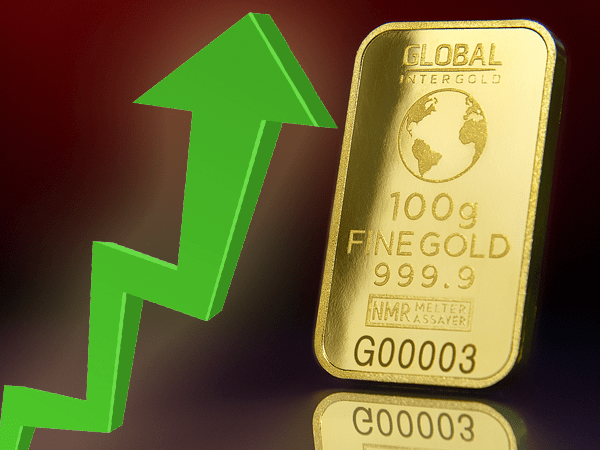 Although gold finished the first quarter with an 8% gain that, according to historical precedent, will likely pour over into the next quarter, the metal is currently down from its year-to-date highs. If the Federal Reserve doesn’t meet its rate hike expectations, gold will likely move higher; the same is true for any trouble in the stock market, which would bolster the metal’s safe-haven appeal. “Gold is a safe place to go,” Colvin added. Gold and silver at their current prices are absolute bargains that might not be seen again, according to Matterhorn Asset Management’s Egon von Greyerz, who recently took an in-depth look into the consequences of rising U.S. budget deficits, the growth in debt and the decline in the value of the U.S. dollar. “The next up leg in the metals has probably started and we could see $1,350 in gold and well over $20 silver in a relatively short time. I would not be surprised to see all-time highs in 2017,” von Greyerz predicts. Axel Merk’s recent piece on Newsmax examines what might have changed in the markets since the market rally in the 1990s, what’s still very much the same and what it all means for gold. As Merk explains, we are eight years into a bull market and any bet against conventional wisdom – especially if it entails cautious investing – is viewed negatively. One major change from the 1990s that Merk cites is the replacement of floor traders with computers. While this shift has greatly increased trading speeds, he says that it also subjects the markets to sharp price adjustments as well as system crashes. Beyond the rise of machines, Merk adds that the role that central banks have taken in trading have also paved the way towards seeming low volatility. When ECB chief Mario Draghi said that he will do “whatever it takes” to save the euro, it showed more clearly how central banks have created safety nets through quantitative easing and forward guidance. One thing that Merk says remains the same, however, is that low volatility is the hallmark of any asset bubble; just because a central bank is hiding the severity of risks of bubbles, it doesn’t prevent bubbles from being created and bursting. Merk also argues that the Fed’s rhetoric, which seems to suggest that officials believe the economic crisis is behind us, is equally worrisome. Despite their initial reluctance to withdraw stimulus too early due to fear of deflationary forces, the central bank has become emboldened as of late, with officials promising up to three or four rate hikes this year. And he says that the likely introduction of Kevin Warsh as the new Chair early next year threatens to solidify hike expectations, even against market signals. While some view rate hikes as bad for gold, Merk doesn’t believe the Fed can normalize rates even if they wanted to, and a more assertive normalization could cause equity prices to plunge. In such an environment, people are likely to interpret any news as bad for the markets. Merk points out that gold has gone up in each bear market since the 1970s except for one, making it great as insurance against a plunge in equities or even a full-blown crash. As Merk explains, people should always prepare for the worst, and high valuations, a period of low volatility that might be nearing its end and rising interest rates are combining to paint a concerning picture.